Shillong: Meghalaya government has launched a door to door campaign to identify leprosy patients to ensure that no patient remains untreated, State Health Minister A L Hek said on Tuesday. He said the programme will ensure that the government’s goal of achieving ‘zero leprosy’ patient is achieved. “Our teams in the health department are working towards ensuring that there will be zero cases of leprosy in the state. We will be going from door to door to identify leprosy patients,” Hek told PTI on the sidelines of the launch of a campaign against leprosy. Nodal Officer for Leprosy Dr H Marbaniang said teams of anganwadi workers, auxiliary nurse midwives (ANMs) and Asha health workers will go from door to door to make people aware of the dangers of the disease. The officer said there were 16 newly detected cases in the past one year. In 2015, 33 cases of leprosy were registered with the health authorities, six of which were newly detected and 38 patients were released as cured. 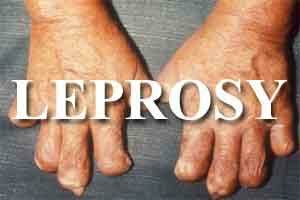 In the following year, 22 cases of leprosy patients registered. For both years, the prevalence per 10,000 population is less than 1 per cent.